The City of General Santos will be celebrating the 2nd Blaan Day this coming Friday, July 22, 2016. In connection with this, Malacañan Palace through Executive Secretary Salavador C. Medialdea has issued Proclamation No. 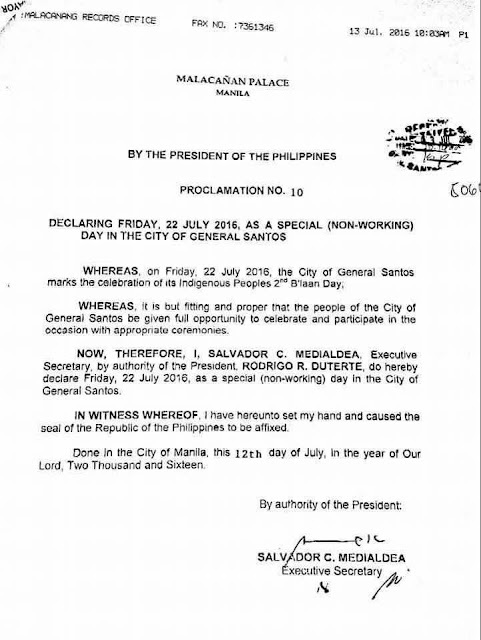 10 declaring the said date as a special (non-working) day in the City of General Santos.